ATLANTA – On Tuesday morning, Georgia Secretary of State Brian Kemp (r) issued a final decision, adopting Administrative Law Judge Michael Malihi’s initial decision contending President Barack Obama meets the eligibility requirements to appear on Presidential Preference Primary ballot. 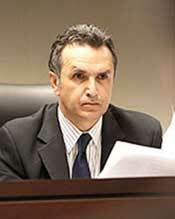 On Friday, Feb. 3, Malihi issued his decision in three challenges to Barack Obama’s eligibility. During the Jan. 26 hearing Malihi noted neither Obama nor his Attorney Michael Jablonski appeared or answered and said ordinarily the court would enter a default judgment against a party that fails to participate in any stage of the proceeding. Malihi (l) also said, “By deciding this matter on the merits, the court in no way condones the conduct or legal scholarship of defendant’s attorney, Mr. Jablonski,” and stated his decision was based entirely on the law as well as the evidence and legal arguments presented. His order was in two parts. The first part addressed plaintiffs David Farrar, Leah Lax, Cody Judy, Thomas Malaren and Laurie Roth, represented by Attorney Orly Taitz. The second part addressed all the plaintiffs, including those represented by Taitz as well as plaintiff David Welden, represented by Attorney Van Irion, and plaintiffs Carl Swensen and Kevin Powell, represented by Attorney Mark Hatfield. He stated, “None of the testifying witnesses provided persuasive testimony,” and said none of the written submissions had any probative value. In Part II, Malihi addressed the claim that Obama is not a natural born citizen of the United States and is, therefore, ineligible to run in Georgia’s presidential primary election. Malihi said he considered, for the purpose of analysis, the following facts: 1) Obama was born in the United States; 2) Obama’s mother was a citizen of the United States at the time of birth; and 3) Obama’s father was never a U.S. citizen. It was the plaintiff’s contention, because Obama’s father was not a U.S. citizen at the time of his birth, Obama is constitutionally ineligible for the office of President of the United States. While plaintiffs argued the term natural born citizen was defined in 1875 in Minor v. Happersett, Malihi said the Indiana court explained that Minor did not define natural born citizen. Citing United States v. Wong Kim Ark, with which the Indiana court agreed, Malihi said the court extensively examined the common law of England in its decision and concluded Wong Kim Ark, who was born in the United States to alien parents, became a citizen of the United States at the time of his birth. He wrote, “For the purposes of this analysis, this court considered that President Barack Obama was born in the United States. Therefore, as discussed in Arkeny (sic) [Ankeny], he became a citizen at birth and is a natural born citizen,” and concluded, “President Barack Obama is eligible for the presidential primary election under O.C.G.A. § 21-2-5(b). Using Malihi’s analysis, anyone born in the United States is a natural born citizen. In other words, according to Malihi, children born within the United States to illegal aliens, tourists and/or terrorists are natural born citizens and are, therefore, eligible to become President of the United States. Malihi’s conclusion is more analogous to saying: All dogs are mammals and all cats are mammals and therefore, all cats are dogs. Over the weekend, Taitz filed a petition with Kemp to set aside the recommendation issued by Malihi and find Obama ineligible to appear as a candidate for President of the United States on the Georgia ballot. Taitz said a 2008 Malihi decision in O’Brien V. Gross, from which she quoted, “The burden of proof is entirely upon respondent to establish affirmatively his eligibility for office,” relied on Haynes. Taitz stated Malihi was required to base his decision on what was in the record and his introduction of an obscure Indiana case was used to advocate for Obama rather than judge the case on the record at hand. 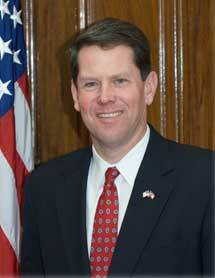 On behalf of his clients, Hatfield requested that Kemp render a decision that treats Obama no different than any other candidate seeking access to the Georgia ballot that fails and refuses to present evidence of his or her qualifications for holding office and disregards the authority of our judiciary. Irion has also indicated his client will be filing an appeal.